One of my interests is a simple shape known as the P-pentomino. I see it hovering between symmetry and asymmetry. The shape has reappeared in my artworks and sketchbooks for over 20 years. 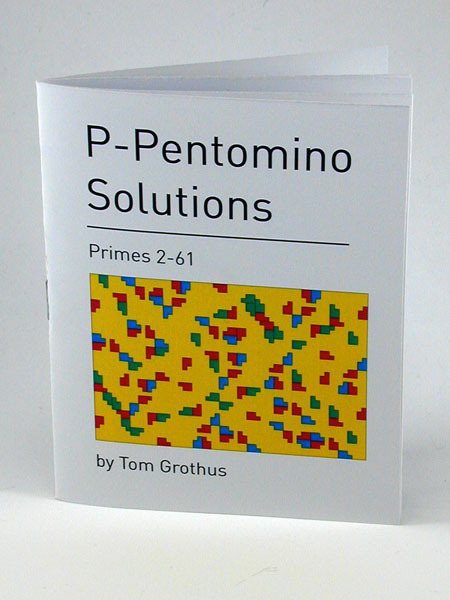 This small book is my first formal publication on the topic, a progression of eighteen P-pentomino tilings. 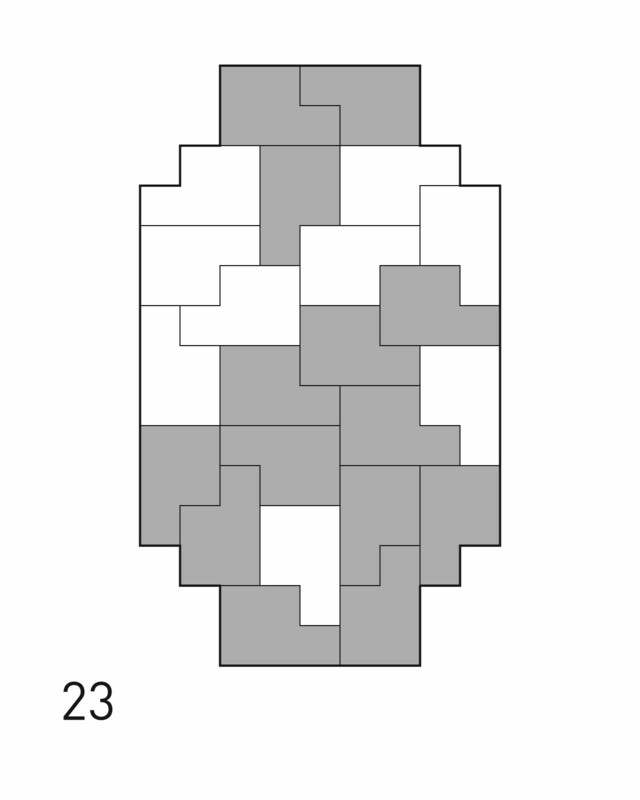 Here are irregular arrangements building frequently-symmetric forms like the 23-tile example above. Although pentominoes are fundamentally geometric, the book is frankly an artistic expression, not a mathematical one. In the context of the visual arts this work is minimalism with an emphasis on shape and pattern. Color cover + 16 pages of black-&-white vector illustrations; includes a 1-page introduction; 4.00 x 5.00 inches, saddle-stapled, digital printing; 2015.